The track bike hunt continues. After the massive let down earlier this week I'm still looking. 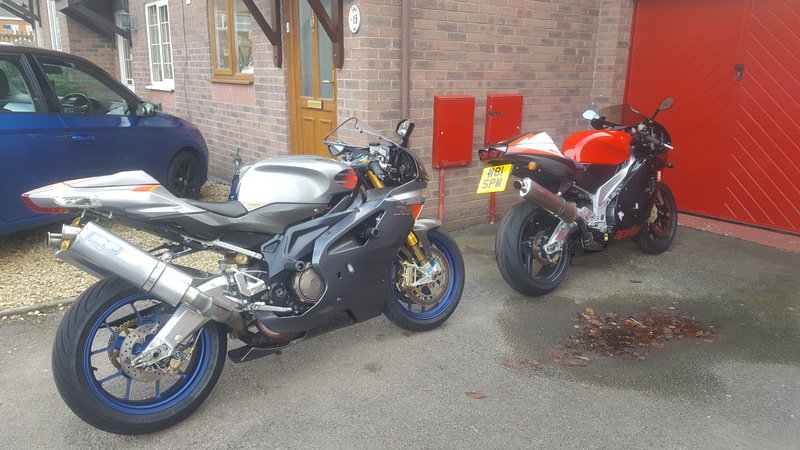 My first choice has always been a Daytona 675 but they are still out of my price range unless I sell the ape which I'm not going to do so been looking at lots of old 600's and gixer 750's. 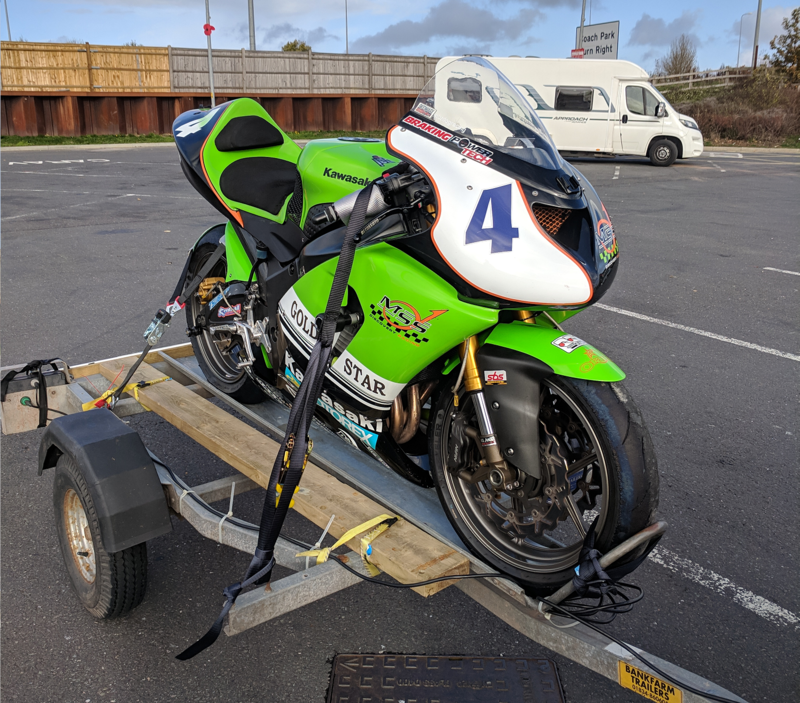 Any one of them would do but as I'm in no hurry I keep looking and up the budget slightly and I've come across a 06plt 636 ninja in track trim but pretty much stock. 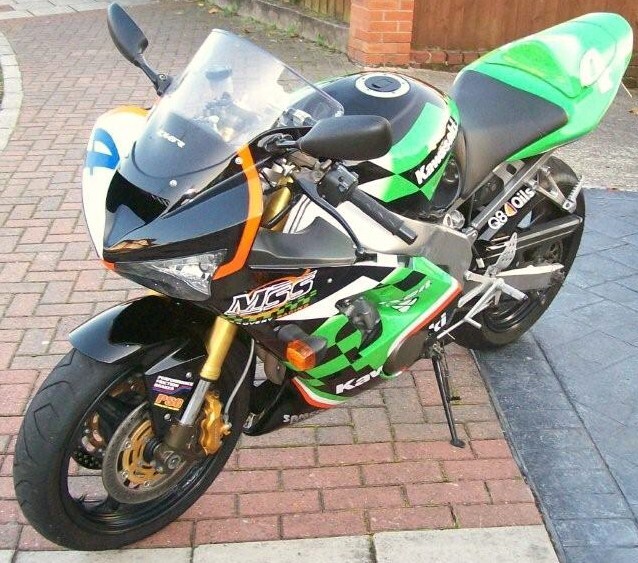 That the one wi the orange fairing ?? Looking forward to riding it in anger , also picked up a full ARROW exhaust system for it as well. I had a road & track 636B1h complete with both sets of bodywork in full MSS livery, wow's and a nearly new Erde 3 bike trailer. Still got all the lights, dual led rears, screen, and custom painted bodywork wrapped in bubble wrap in my attic if anyone knows anyone who may want such items. certainly seems a a very good bike for the track . This one's very stock. Offer was refused but im going to keep an eye on it. Gatterix yours is stunning. stunning bike chap, you still got the gen 2 ? Hi guys, thanks, im really looking forward to getting it on track. Nice one Adam. Go on.. what did you get? All will be revealed tomorrow when I get some decent pics. I like it Ian. 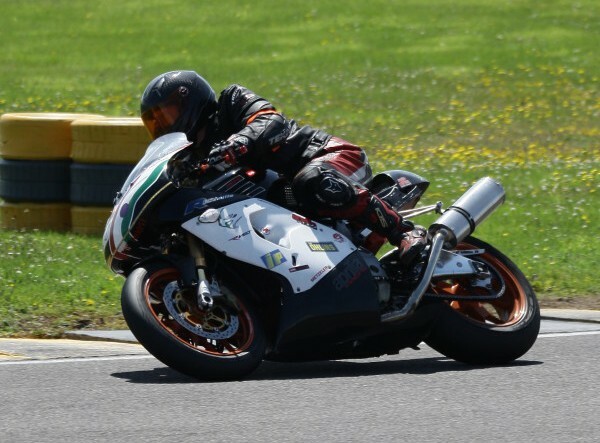 Do you have a picture in it's race fairings? Sorry don't think I do, it was in track trim on the trailer when it was stolen and I think the pics I took at that time have been deleted as I've changed phones umpteen times since then. It was a lot plainer though, almost all plain green I think. That looks pretty cool real shame that you never got a chance to use it. Picked it up a couple of weeks ago but only had a day last week to go through it. No recent pics but she's currently on stands in the garage with all the bodywork off. Got a few bits on order, new Harris clip ons to replace the bent one after the off, fibreglass kit to make a new mounting point for the damage to the fairing and I thought that was it but my front paddock stand arrived yesterday and I had a little poke about when I got home this morning and discovered a slight bind on the front wheel. Definitely not the calipers as I stripped and rebuilt them last week and they were in great nick so its wheel out tomorrow and check it for a buckle and also check the rotors something isn't quite right. I visually checked the forks and although one has a small graze they look straight. It was a bargain price so im expecting a few hidden costs but overall I'm chuffed to bits with it just need to get on track. Couldn't stretch to a C1H so I bought half of one hehehe! thanks Twinfan she does have a lot of nice trick parts. James I'm well up for that, was due to have the first ride a week tomorrow but the forcast is dreadful but if it changes I'm heading to snetterton . 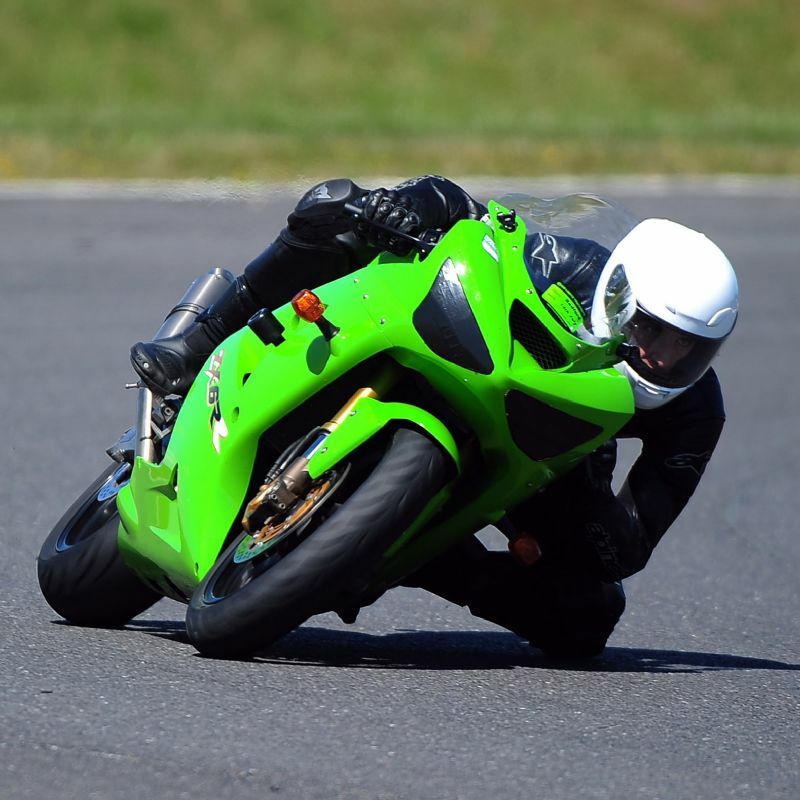 My last bike was a 2003 ZX-6RR (in my profile pic). It was a great bike, physically small and arguably the standard 636 would have been better as road bike with more torque. Very capable of hustling larger bikes through the corners and if I was looking for a track weapon I’d be tempted to get something similar. Keep us updated! Ah I missed this. That looks to be a really good spec bike that's been well set up. Hopefully that bind on the front wheel doesn't turn out to be too much to fix.